Contingent - Accepting Back-up Offers. Looking for a country property? Hope you&apos;re ready to fall in love! Beautiful area and property! It even has mature trees in back and a natural spring nearby. 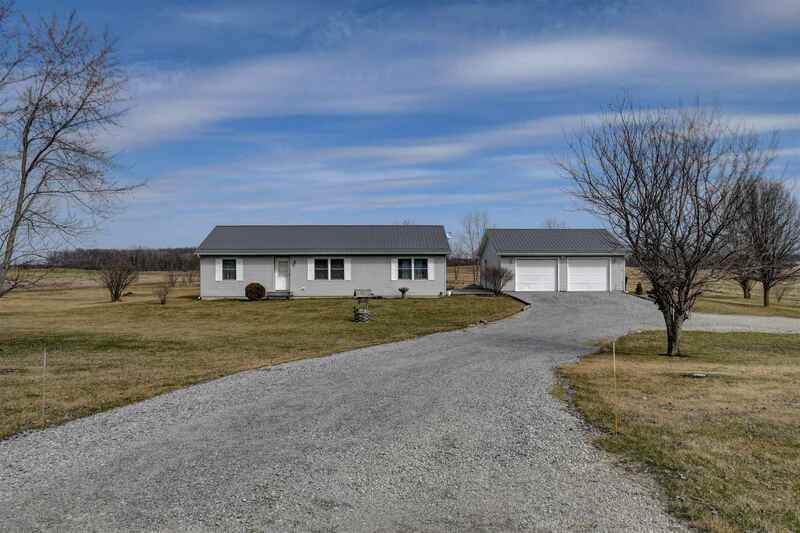 Located on almost 5 acres, this one has what just about anyone will love! This 3 bedroom, 2 full bath home with full unfinished basement includes new steel roof in 2017, a great 2 car detached garage, an outbuilding and even your own garden area. As you come in the side door, you will see room to add cubbies just inside the door, if you want. The laundry room and kitchen areas include major appliances. Lots of cabinetry and a nice dining area overlooking the back yard. Enjoy the view through patio doors! Master bedroom and ensuite provide convenience! 2 additional bedrooms and the full basement provide lots of space and storage for the new family lucky enough to find this and call it home! Included in sale: generator, all appliances, tiller for garden, tow behind sprayer, seed spreader, owned water softener (3/4 full). Propane tank is rented. New battery on sump pump.